Democracy, justice and the future are the three axes around which Josep Maria Bartomeu based his speech on Tuesday to the Club’s Senate. The FC Barcelona president focused on four main topics: the current sporting situation at the Club and three replies to some of the most controversial topics that have engendered debate, Barça’s support for a National Pact for a Referendum on Catalan independence, the legal situation surrounding the ‘DIS Case’ and the belief that Barça is not following its traditional path as a club. “I prefer to define them in another way: democracy, justice and the future,” said Bartomeu. 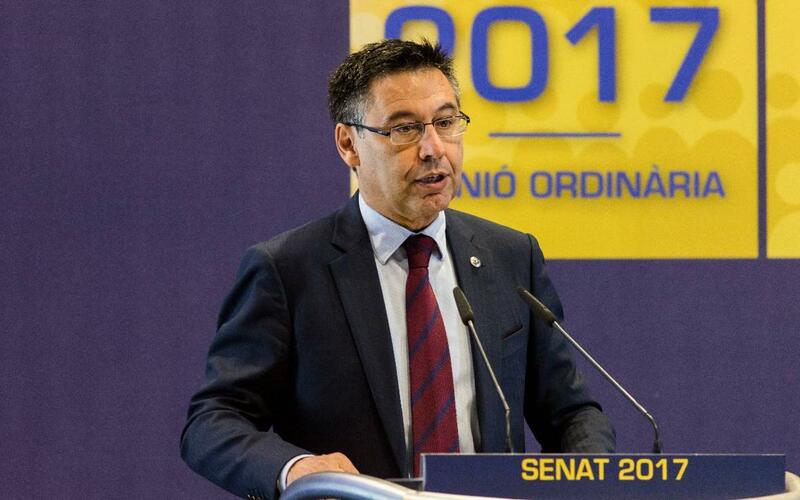 Bartomeu continued by reminding the Senate that the defence of democracy and freedom of expression are values that have accompanied Barça since its very foundation. “We show commitment to the democratic and pluralistic values of our country,” added the president. Josep Maria Bartomeu then turned his attention to the ‘DIS Case’, which the Audiencia Nacional (National High Court) has recently brought against Barça, Neymar and his parents, former president Sandro Rosell, Brazilian club Santos and Bartomeu himself. “Both Barça and the player are victims of this conflict of interests between Santos and DIS and we will do all we can to defend our honour and innocence,” said the Barça president.